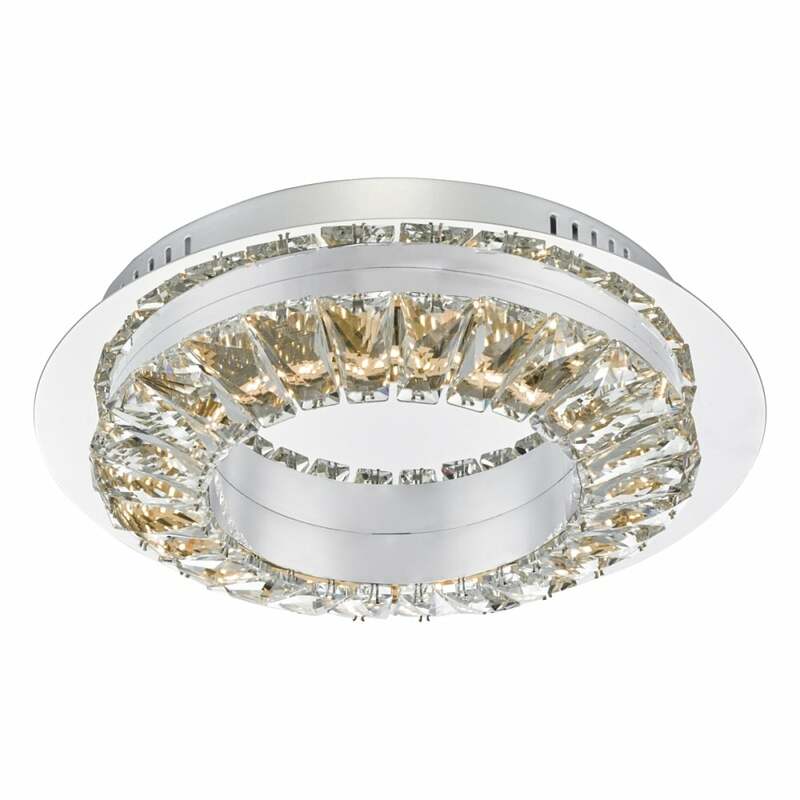 Altamura LED flush ceiling fitting features a circular ceiling plate and framework all in a stainless steel finish. The product code for this fitting is ALT5250. This simplistic design displays a contemporary ring of faceted crystals which when lit reflect the warm white LED's beautifully providing any suitable room with stunning light and a perfect way of illuminating your modern space. This fixture is double insulated and can be dimmed using a suitable dimmer switch. Also available is a matching ring pendant which can be purchased using product code: ALT0150.